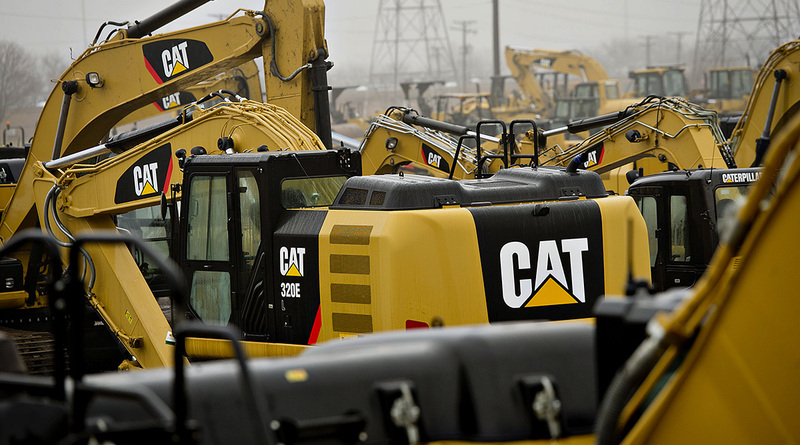 If you want more evidence of a broadening expansion in the global economy, look no further than Caterpillar Inc. Surging Chinese demand and an improving U.S. economy have lifted sales of Caterpillar’s signature yellow mining and construction machines. Now, with the pace of growth quickening in Latin America and Europe, the company is projecting higher earnings for 2018 than analysts estimated. The outlook from Caterpillar, considered an economic bellwether, comes as industries from manufacturing to services report increased sales and orders that have fueled record equity prices and buoyed investor expectations for this year. This week, the International Monetary Fund raised its estimate for 2018 global growth to the fastest in seven years. Deerfield, Ill.-based Caterpillar on Jan. 25 projected growth in its construction and mining-equipment businesses, forecasting increased sales to China and expansion in North America, even without a U.S. infrastructure bill. Its 2018 forecast for earnings of $8.25 to $9.25 a share. The $8.75 midpoint of that range surpassed the $8.63 average of estimates compiled by Bloomberg News. Sales and earnings in the fourth quarter of 2017 also topped estimates. Caterpillar shares rose 3.7% to $174.61 at 8:55 a.m. in New York. Estimates for Caterpillar earnings had risen 16% the past three months, the most in the Dow Jones Industrial Average, amid signs of improving demand across the globe. Caterpillar, which in December capped the biggest annual gain in its shares since 2003, raised its 2017 revenue projections three times last year. “After four challenging years, many key markets improved in 2017,” Caterpillar CEO Jim Umpleby said in the statement. Caterpillar reported Jan. 24 that retail machine sales in the three months ended December rose by the most since 2011, adding to evidence of momentum. Sales in the Latin America resource-industries unit more than doubled. The company posted double-digit percent sales declines every month in the two years through 2016. The company’s stock climbed 26% in the fourth quarter, and 70% last year. The shares were the second-best performer in the Dow Jones Industrial Average last quarter. “With that backdrop and accelerated growth continuing, the outlook is pretty bullish,” William Blair’s De Maria said.